I am so blessed to have an array of fabulous single friends to do life with. 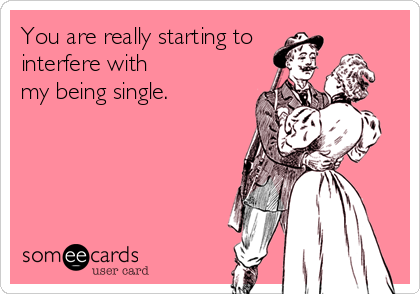 On occasion we get a laugh out of sharing memes which celebrate the awesome side of singleness, and make us laugh at the depressing side. I hope you all get a kick out of these. P.S. If you’re NOT single, PLEASE tread carefully before sending these to a single person!! It’s kinda like being black… there are certain things you can only say to each other! I have a couple of friends I’d like to send this one to… let’s just say, I haven’t yet! I love this one ONLY because I don’t like cats and have no intentions of becoming the ‘crazy cat lady’ that friends like to tease me about. If you do, however, fall into the ‘crazy cat lady’ basket, I hold no animosity towards you or your cats. 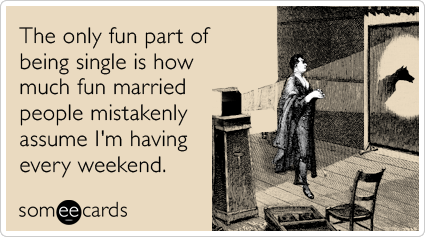 Ahh the married people who constantly remind you how fortunate you are to be single… bless them. This is one of my favourites. I know all you parents love having your kids. But I really love not having them! A lovely (or perhaps not so lovely depending on my mood) male friend sent this one to me. Well at least he think’s I’m smart. 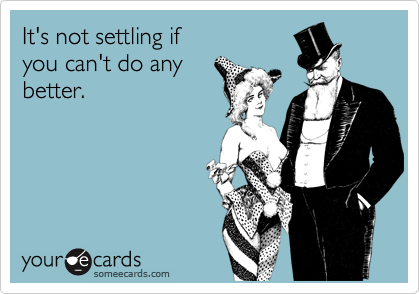 You know, believe it or not, despite the ups and downs and difficulties of being single, sometimes this one really does ring true. Being single isn’t always easy, but it’s a unique, blessed and precious stage of life. If you’re living it, have a laugh and enjoy it while you can, because chances are, one day someone will come along who will interfere with it! This entry was posted in Things I Love and tagged childless, crazy cat lady, enjoying life, friendship, Humor, humour, If we're still single when we're 40, love, love life, marriage, memes, moment of silence for people who have kids, Recreation, Relationships, settling, single, single memes, Single person, Singleness, smart girls, we understand you are 40 and still not married. haha Mel. I’ve heard they’re pretty good… but I’m still not a fan of animals. I’ll just have to be the crazy book lady! Love these! I’m not single now but I was for a long time … last of my friends to get married. Wish I laughed a little more about it at the time. 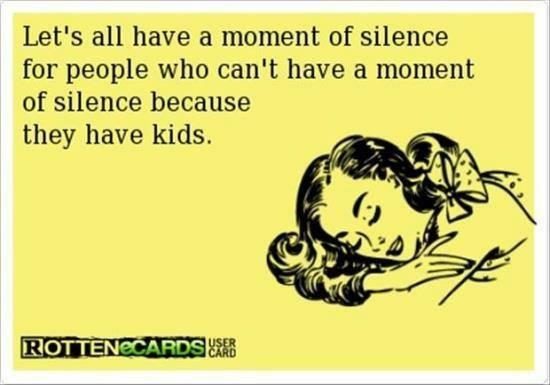 I as you know am a self confessed crazy cat lady and have come to terms with the fact that I may never marry and may never have kids, but that is ok, because I get to borrow everyone else’s kids (especially babies) and I also get to return them when they have their cranky pants on. As for the living with someone permanently thing, I think too could be quite frustrating, I am definitely one that although I hover a lot, harrass my friends, will way over stay my welcome, I still definitely like my space and freedom to do what I choose, when ever I choose. Lol, that’s hillarious, I didn’t realise how long it was till I clicked post then was like :s awkward. LOVE your sense of humor! It’s not long ago that I was single and can therefore relate to all of them. Thanks for the caution not to send (if married). The “being black” comment craked me up but drove the point home. My “singleness” has been interfered with for more than 42 years, by the grace of God, and I wouldn’t have it any other way 🙂 Loved the pix, though! These are fantastic!!! 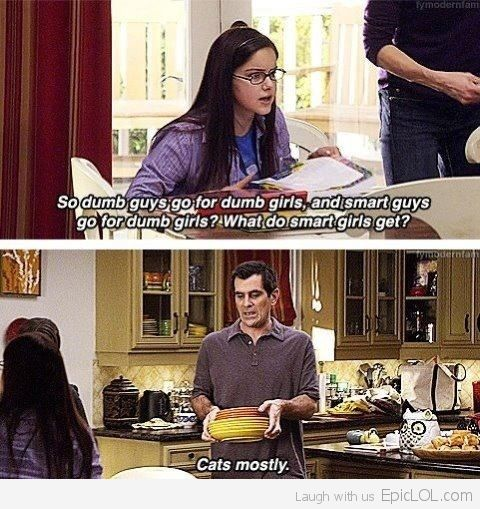 (I reposted most of them on my pinterest page) 😉 My friends (or siblings) have already sent half of these to me one point in time (oh the joy of being single, at least we get some laughs out of it…sometimes) 😉 I’m not deemed to be the cat lady either (not huge on them) but my teens at church think if I’ll be single at 40 then I’ll become a nun (might be a problem since I’m not Catholic) but I’ll take that over being a cat lady 😉 thanks for sharing these! Thanks so much for your comment. I can relate so much. I love your writing and your ministry and didn’t realize you were single too. That’s just extra encouraging! Thanks so much for following my blog too. And definitely don’t go for the cats or the nunnery! 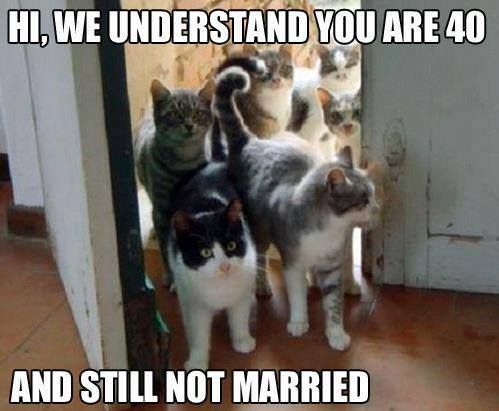 If you don’t get married, it’s because God wants to use you in some special way, and somehow I don’t imagine it will involve cats or nuns, though keep me posted if it does! Thanks for the laugh out loud! I absolutely loved this so much and passed it on to my husband. After my divorce and before I met my second husband, I felt tortured at being single for about 8 years. Wish I would have seen this then. There is much truth to it! You have a great sense of humor! I especially liked the cat lady one and the cradle robber one! 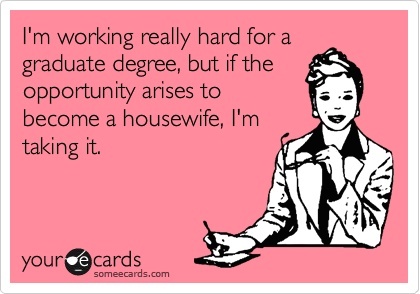 There’s old saying, “It is better to wish that you were married than to wish you weren’t!” I have been at both ends. He thought it was pretty funny. I really did love it! There was one time when a former co-worker of mine (doesn’t this always happen when a lot of people are around to hear it?) asks me why in the world I’m not married YET? But what shocked me was when she (shouldered down a hunch to say it in a lower tone to me) told me to not get married. Oh great. 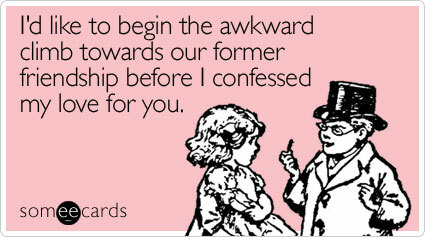 Holler to everyone how single I am and then whisper to me that I’m doing the right thing. Sheesh. Anyhow, I understood where she was coming from because she was in her second marriage and I can very much tell that her husband is not a very nice fella (I never saw him crack a smile ever). 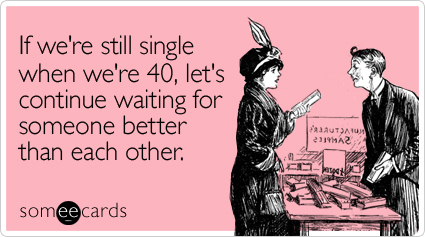 Very true about how the gap in age difference seems to be getting wider and farther between couples. 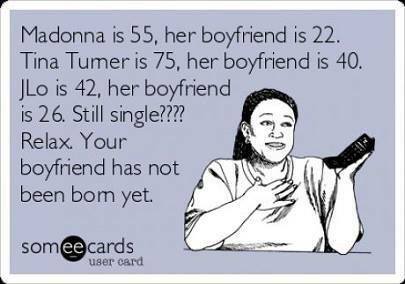 I used to think the same thing too year ago, about my future spouse possibly not having been born yet, or may still be in grade school. Aye, so really uncomfortably odd to think of it in school age terms, no? Because my apartment doesn’t allow pets, I don’t have any – yet. But after I move in the future, I’m really considering getting a dog and a cat.